A couple of weekends ago, I stopped by a garage sale in my neighborhood. They were giving away a stack of unused burlap coffee bean sacks. I took a few, not sure how I might use them. 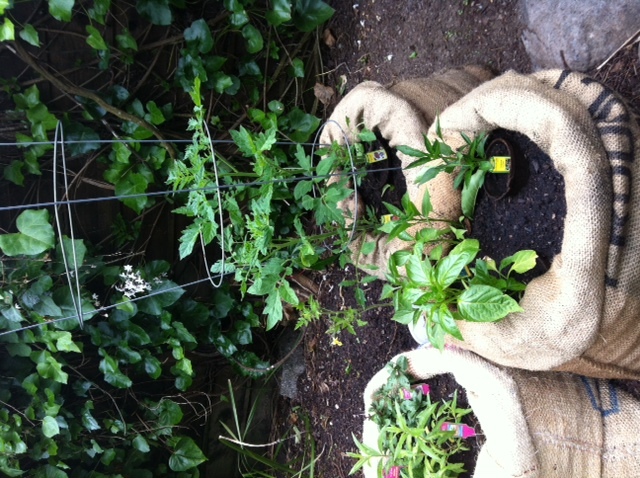 I filled them with dirt and planted tomatoes, peppers and herbs. So far, so good…. 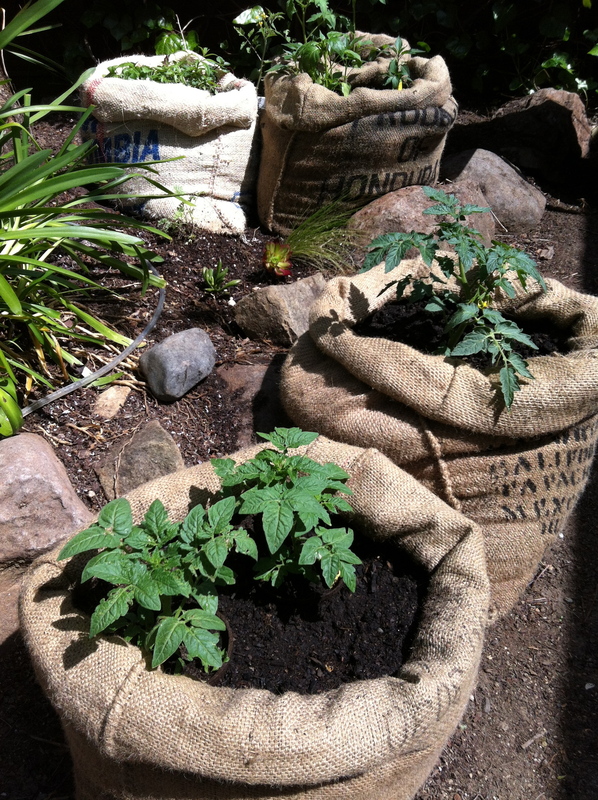 How did the tomatoes and peppers turn out in the burlap bag ? The tomatoes and peppers grew well, but at the end of the season, the burlap gave way at the bottom…but served as a great container for the season!